In order to accurately identify the specification requirements, analysis of the substrate is carried out. This gives an indication of the number of layers of paint present, inter-coat adhesion issues and likely flammability levels. 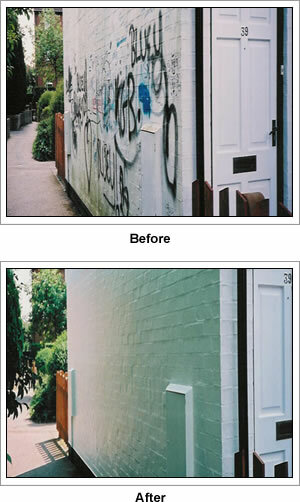 Following analysis, a site-specific specification can be written which includes preparation and application requirements along with recommendations for long-term performance, particularly with graffiti issues – Hubdean specifications are also available in NBS format. On-site assistance with product application training and graffiti-removal training. As part of Continuous Professional Development we offer a range of CPD seminars.